The chassis keeps the same ladder frame as the first-generation G-Class. “The G is still a G,” states Mr G himself, the aptly named head of Mercedes G-Class, Gunnar Güthenke, talking about the second-generation, near-identical-to-the-old-one SUV revealed last month. The G-Class has been around since 1979 and is now synonymous with affluent, nouveau-riche buyers who choose to pimp their SUVs in the most ludicrous of ways – which is the reason why there was sufficient demand to justify models such as the six-wheel-drive G 63 AMG 6x6. It’s also why Mercedes managed to turn the G-Class from a workhorse into a luxury SUV, in the process making it profitable enough to remain in its line-up – something that long-time rival Land Rover failed to achieve with the Defender. Güthenke has been in charge of the G-Class since 2014, when the SUV’s sales had been rising for five years – so much so that Mercedes was convinced to make a large investment and develop a second-generation model following 39 years of mild updates that ensured it wasn’t utterly out of date. “Every five to seven years there were upgrades to the interior of the G-Class, but there were certain recurring customer demands, such as better steering, which had been requested for quite a long time,” explains Güthenke. He diplomatically admits there were different views on the look of the G-Class Mk2 between the team responsible for the SUV and Mercedes’ design team headed up by Gorden Wagener. In the end, the new G-Class, revealed at the Detroit motor show last month, stayed true to its original styling. That will ensure, it is hoped, that legions of existing buyers will remain faithful to it. Despite its similar looks, almost everything is new, with only three components – the grab handle, the headlights washer system and the cover for the spare wheel – identical to those on its predecessor. The G-Class sold 22,000 units last year, which is a drop in the ocean compared with the 805,000 SUVs that Mercedes sold overall, led by the GLA and GLC. But Güthenke explains: “The G-Class is the gene donor for all of our SUVs – that’s why they all have the ‘G’ in their names. There are not so many icons still alive and so we feel committed to make sure this happens for our car. The US is the biggest market for the G-Class, followed by Germany, Japan, China, Russia and the Middle East. 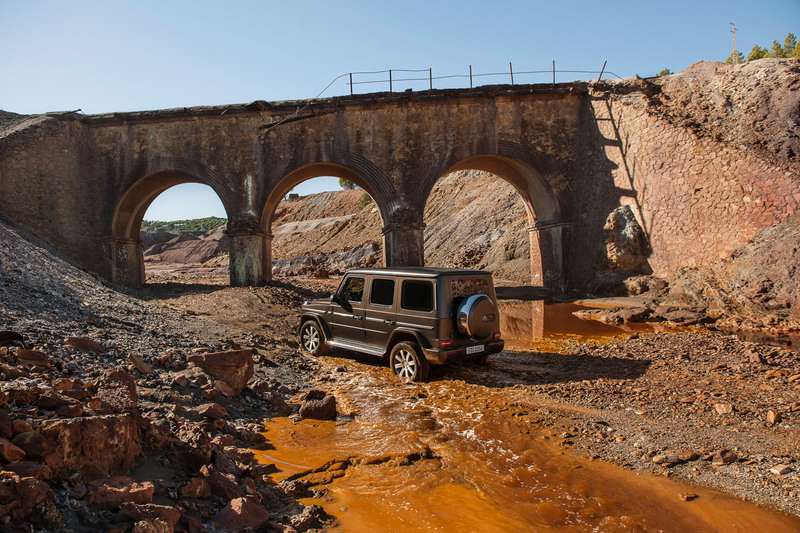 G-Class owners – if the ones spotted in London’s most exclusive boroughs are anything to go by – never use the car’s off-road capability to anywhere near its full extent. That’s why Güthenke has a soft spot for Middle Eastern buyers. “They take it out to the desert and make use of its strengths,” he says. 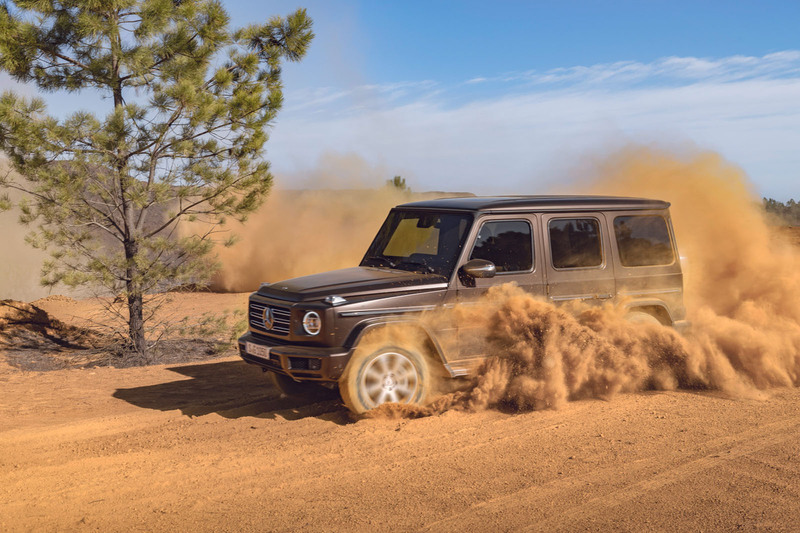 “Many people buy it because of its capability and then only use a certain amount of it.” An average G-Class driver has three or four cars, says Güthenke, but adds that the new version is “fully suitable for single-car owners”. For now, Güthenke is focusing on an “excellent start to production” of the G-Class ahead of deliveries to customers later this year, but he sees potential for a convertible version, a hybrid and more. “We developed the Mercedes-Maybach G650 Landaulet in two years from conception to launch, which shows how flexible we are.” He says a convertible is a popular talking point but cautions that it would need a “huge” investment: “We have to be sure that a certain number of people will actually buy it.” At the SUV’s reveal in Detroit, Mercedes boss Dieter Zetsche hinted that a pure-electric G-Class could be built, although that is likely to be at least five years away, with Zetsche admitting a hybrid will arrive sooner. CHASSIS - The chassis keeps the same ladder frame, albeit heavily modified, as the first-generation G-Class. There were discussions about whether it should be axed, but it remained the best way to get the required rigidity. 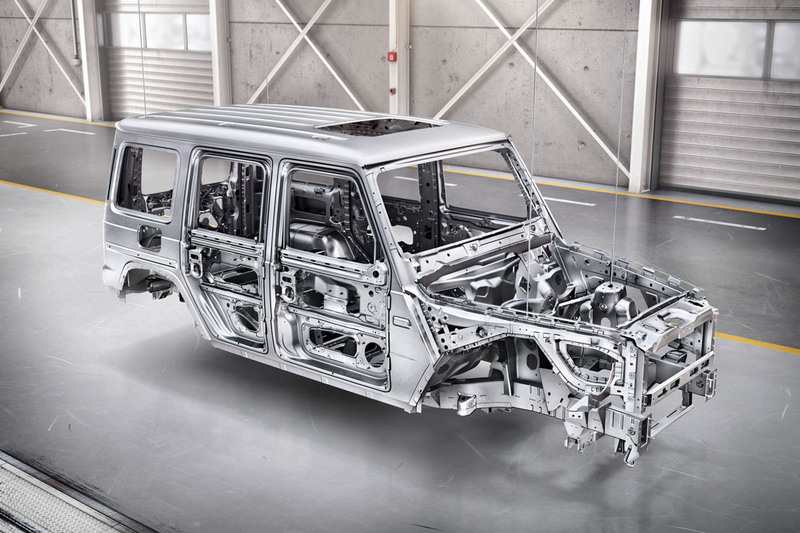 The body on the frame now features aluminium on its wings, doors and bonnet, while the rest remains steel. In all, there’s a 170kg reduction in weight. STEERING - The new G-Class has a new steering system. 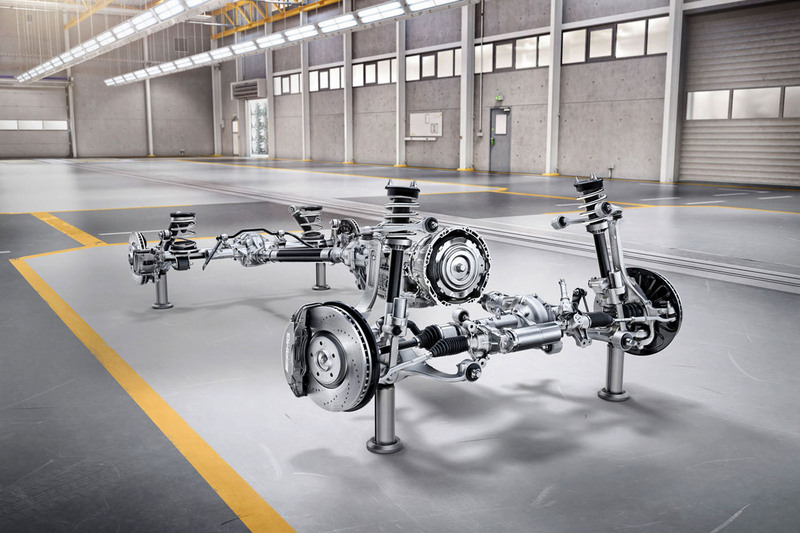 The recirculating ball set- up, which dated back to the 1979 G-Wagen, has been replaced by a contemporary electromechanical rack and pinion arrangement, which is said to offer “precise and suitable” responses on and off-road. It also allows for the implementation of systems such as Parking Assist. Guthenke says the steering has improved massively, “but you still know you are driving a G-Class”. 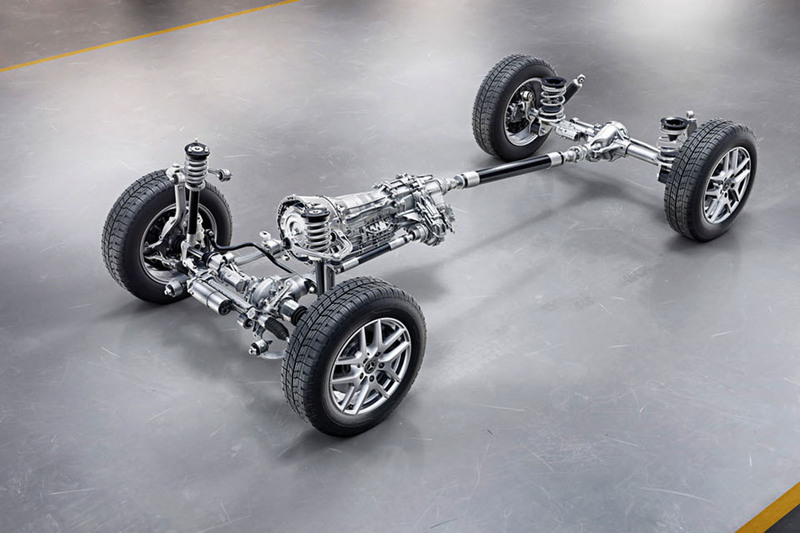 SUSPENSION - The new independent suspension – a “huge step” forward, says Güthenke – was created with involvement from Mercedes’ performance arm AMG and has a double-wishbone front axle and a rigid rear axle. Off-road capability is helped by making the axles higher, for increased ground clearance, and fitting a strut tower brace in the engine compartment. 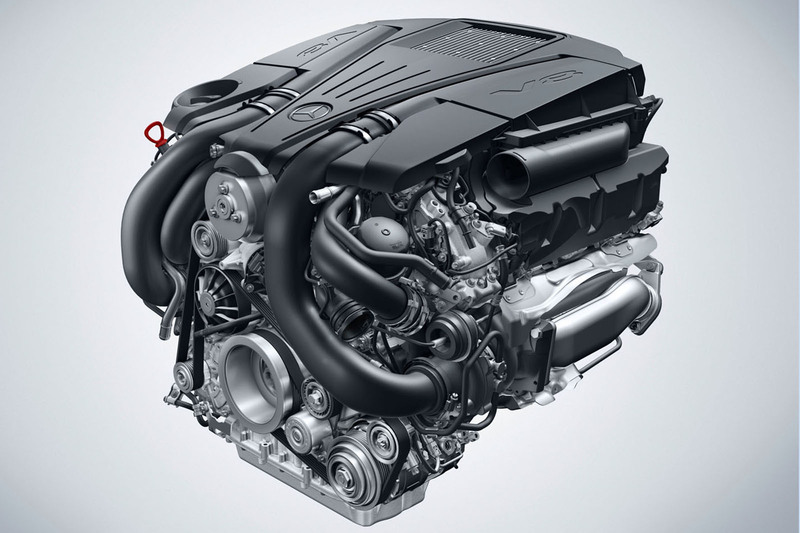 ENGINES - The G-Class launches with the G500, a variant not currently sold in the UK. Güthenke says it uses “the most up- to-date V8 we have in the company”. seriously how much does Mercedes pay Autocar to stay in the headlines? Why else would you make this story headline news when it’s the same car from 4 decades ago. Surely someone is lining their pockets at autocar and we know how crocked mercedes can be (just look at the cheating allegations). I hadn't realised sales of the current model were so low (22000). A similar level to the Defender, but at a much higher price point which explains why Mercedes can afford to replace it! ​I can't find the words to explain the stupidity of that comment, nor of the bitchiness in describing all buyers as 'nouveau riche'. Keep your ridiculous spiteful social commentarty to yourself, Rachel.